Need For Speed Underground 2 is a part of the Need For Speed racing game series. Need For Speed Underground 2 continues where the racing left off in Need for Speed Underground with new improvements and enhancements. It is a must have game if you’re a racing lover. 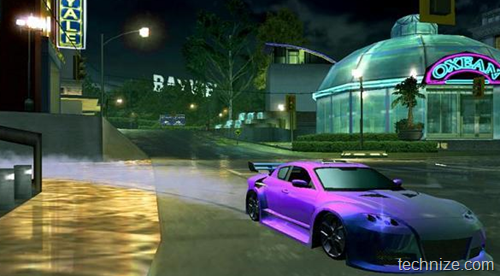 Basically this games takes you to street racing which can be a dream for every car racer. This edition of Need for Speed was so successful that it was sold more than 9 million times worldwide. It is available for GameCube, PlayStation 2, Xbox, Nintendo DS, wii and Windows. 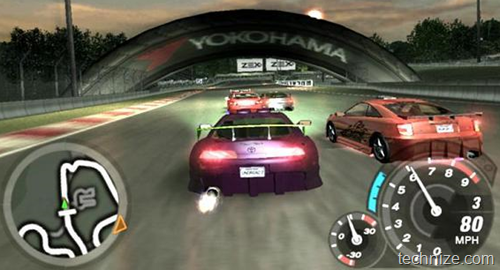 The other modes of racing include Circuit racing and Drifting. Circuit racing is more of a conventional racing where there are four cars who have to compete with each other on a closed circuit track. The car which finishes the track first will be the winner. Drifting is what I like more than Circuit racing. In this mode of racing, you’ll be given a straight path where there will be traffic and obstacles. The driver has to avoid any obstacles and reach the finish line first. The one who finishes first will be the winner. Need For Speed Underground 2 has a multiplayer mode which seems to have been disabled by EA, the developer of the game. Download the game from the CNET download page.